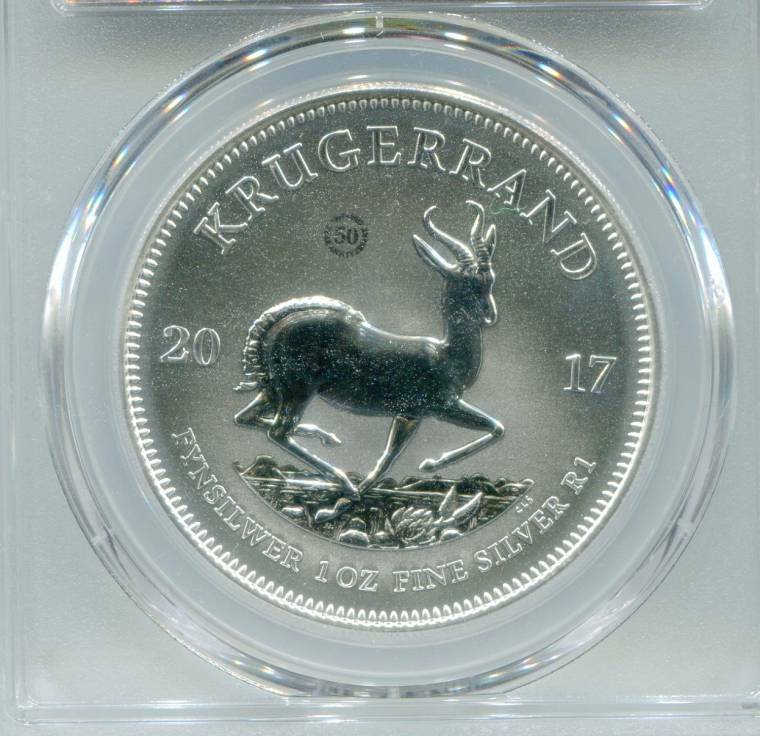 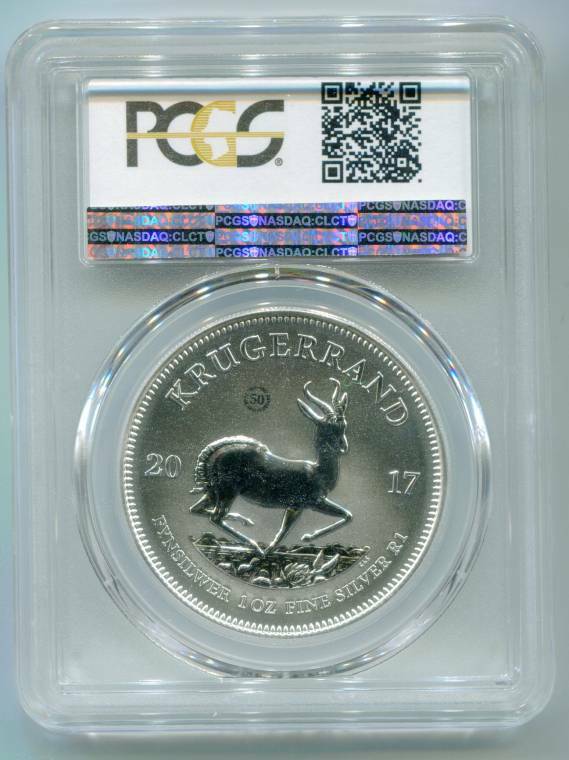 First Ever 50th Anniversary Silver 1 Ounce Krugerrand - Scarce, with Special Privy Minter´s Mark as shown. 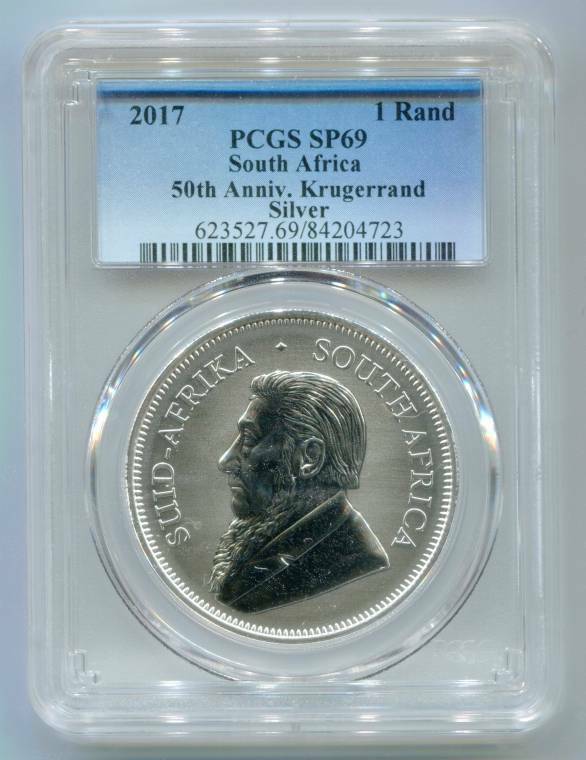 Graded Specimen 69 - Collectors Coin via PCGS - Stunning Coin! 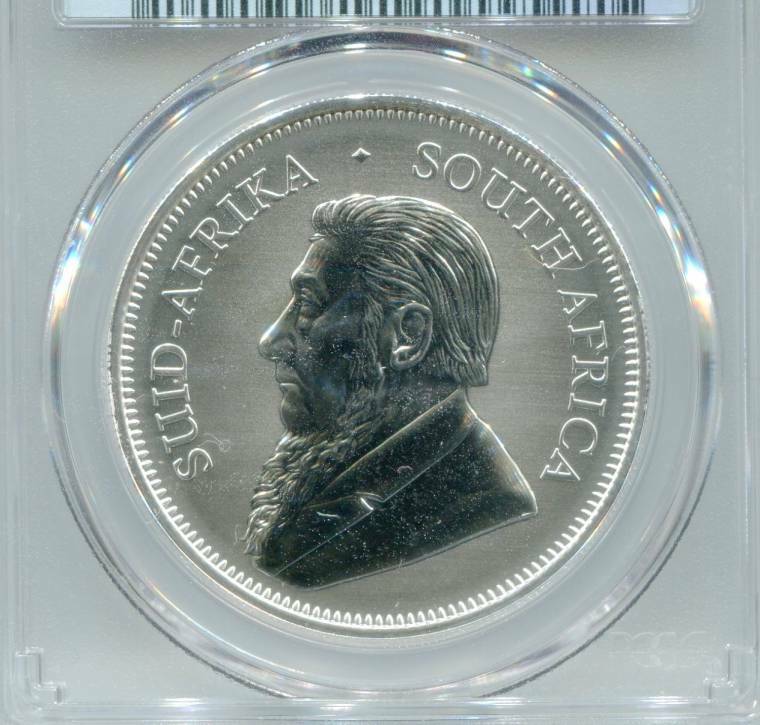 Scan is a Generic Scan, you will receive a similar coin of the same grade as that shown.